West coast rapper MC Eiht stopped by Sway In The Morning to talk about his new album, Which Way Iz West, and give the breakdown between OG’s and screen g’s. He also gave a bit of insight on why government involvement in dismantling gangs will never work. This is the Compton native’s 13th studio album. He explained to Sway that he wanted to give the feeling of the 90s hip hop he knows and love. His tracks “Pass Me By”, “Gangsta Gangsta”, and “As I Proceed” reflect this in their titles which are undeniably similar to 90s hits. On a more political tip, Eiht broke down what the gangster life is to him and why he doesn’t sweat the ‘gimmick’ gangsters. He doesn’t expect a rapper who started wearing flags and colors at 20-something to have the same values as he and his counterparts because of choice. Eiht didn’t have a choice; it was for protection, belonging, and survival. He can’t relate to someone in it for fun. Check out the full interview and hear about him working with Dr. Dre, how gang affiliation interrupted his original goal as an MC, why the government can’t stop gangbanging, and hear his “freshly written” freestyle below. 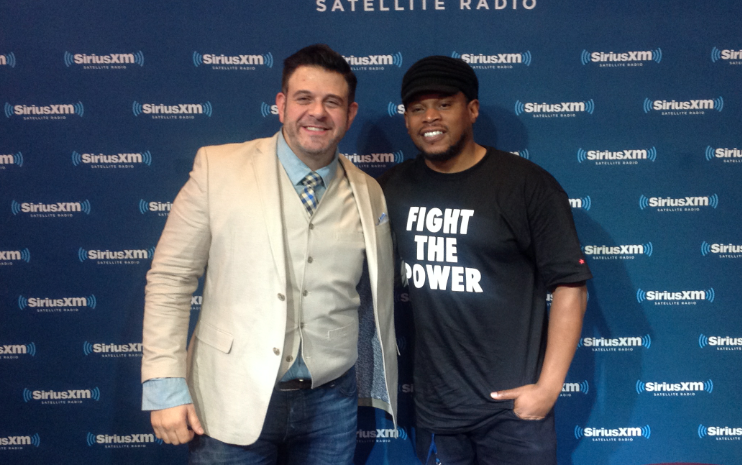 Adam Richman on Best Foods to Serve at Game Parties + a Hip Hop Cooking Show with Sway and Heather B?